Of Discs: 1 disc(s) Studio / Label: Virgin EMI Records UK Release Date: 02 Jul 2007. Disc 1 12 The Struggle Within 3.54 mins. Disc 1 11 My Friend of Misery 6.50 mins. Disc 1 10 The God That Failed 5.09 mins. Of Discs: 2 disc(s) Studio / Label: Virgin EMI Records UK Release Date: 02 Jul 2007. 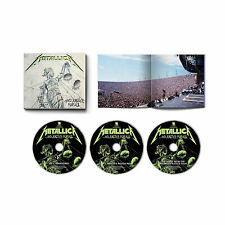 Disc 2 3 For Whom the Bell Tolls 4.52 mins. 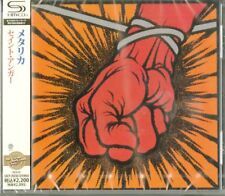 Disc 1 10 Devil's Dance 5.26 mins. Disc 2 10 Battery 7.25 mins. Disc 1 4 Of Wolf and Man 4.19 mins. Various Artists : Kerrang! of Discs: 2 disc(s) Studio / Label: Universal Music TV UK Release Date: 09 Sep 2002. Disc 2 16 Point To Prove 3.37 mins. Disc 1 2 Girl All the Bad Guys Want 3.17 mins. Disc 2 19 The Hate Song 1.50 mins. Of Discs: 1 disc(s) Studio / Label: EMI Music UK UK Release Date: 11 Jul 1994. Disc 1 11 You're Gonna Break My Heart Again 4.11 mins. Disc 1 10 Here I Go Again 87 4.35 mins. Disc 1 9 Children of the Night 4.24 mins. Of Discs: 1 disc(s) Studio / Label: Virgin Records UK Release Date: 10 Oct 2011. 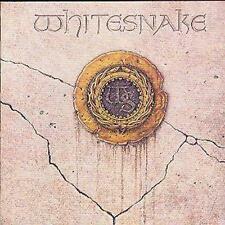 Disc 1 11 Never Go Back 4.27 mins. Disc 1 10 Oceans 3.38 mins. Disc 1 9 End of the Dream 3.49 mins. Disc 1 8 Sick 3.30 mins. Of Discs: 2 disc(s) Studio / Label: EMI Music UK UK Release Date: 29 Aug 2005. 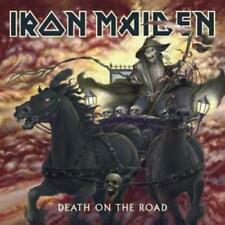 Disc 2 4 Iron Maiden 5.09 mins. Disc 1 5 Dance of Death 9.34 mins. Disc 1 3 Can I Play With Madness 3.31 mins. Disc 2 6 The Number of the Beast 4.57 mins. Of Discs: 2 disc(s) Studio / Label: Virgin Records UK Release Date: 23 Feb 2004. 2 14 Queensryche - Eyes Of A Stranger. 1 12 Montrose - Rock The Nation. 1 3 Iron Maiden - Run To The Hills. 1 1 Queen - We Will Rock You. Of Discs: 1 disc(s) Studio / Label: Virgin EMI Records UK Release Date: 25 Oct 2004. Disc 1 12 Make Love Like a Man 4.15 mins. Disc 1 11 Long, Long Way to Go 4.38 mins. Disc 1 15 Rock of Ages 4.08 mins. Of Discs: 1 disc(s) Studio / Label: Import Music Services UK Release Date: 14 Aug 2000 Explicit Lyrics: Yes. Disc 1 1 Infest. Disc 1 12 Tight Rope. Disc 1 13 Legacy. Disc 1 11 Thrown Away. Disc 1 10 Binge. Of Discs: 1 disc(s) Studio / Label: Virgin EMI Records UK Release Date: 15 Apr 2016. 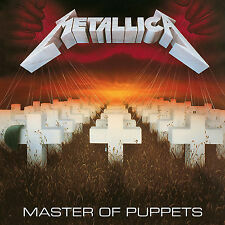 Disc 1 2 Ride the Lightning 6.36 mins. Disc 1 3 For Whom the Bell Tolls 5.10 mins. Disc 1 8 The Call of Ktulu 8.52 mins. Of Discs: 1 disc(s) Studio / Label: Virgin EMI Records UK Release Date: 02 Jul 2007. Disc 1 2. And Justice for All 9.46 mins. Disc 1 9 Dyers Eve 5.14 mins. 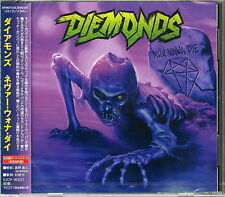 Disc 1 8 To Live Is to Die 9.49 mins. Disc 1 7 The Frayed Ends of Sanity 7.43 mins. Of Discs: 1 disc(s) Studio / Label: EMI Music UK UK Release Date: 12 May 2008. Disc 1 15 Iron Maiden 4.21 mins. Disc 1 8 Run to the Hills 3.54 mins. Disc 1 12 Can I Play With Madness 3.32 mins. Disc 1 5 Wasted Years 5.06 mins. Of Discs: 1 disc(s) Studio / Label: Polydor UK Release Date: 17 May 2007. 1 8 Dont Wake The Lion (Too Old To Die Young). 1 6 Different Worlds. 1 5 It Must Have Been Love. 1 4 One Step Away. Of Discs: 1 disc(s) Studio / Label: Polydor UK Release Date: 09 Oct 2000. Disc 1 4 Rock And Roll Creation 4.08 mins. Disc 1 7 Big Bottom 3.32 mins. Disc 1 1 Hell Hole 3.08 mins. Disc 1 2 Tonight I'm Gonna Rock You Tonight 2.38 mins. 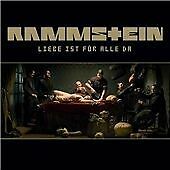 Of Discs: 1 disc(s) Studio / Label: Spinefarm UK Release Date: 18 Nov 2013. Disc 1 1 If You Have Ghosts. Disc 1 5 Secular Haze. Disc 1 4 Waiting for the Night. Disc 1 3 Crucified. Disc 1 2 I'm a Marionette. Of Discs: 1 disc(s) Studio / Label: EMI Gold UK Release Date: 04 Apr 2005. Disc 1 3 Wheels of Steel 4.26 mins. Disc 1 2 Smoke On the Water 3.46 mins. Disc 1 12 Attack of the Mad Axeman 4.20 mins. Disc 1 17 Strong Arm of the Law 4.37 mins. Of Discs: 1 disc(s) Studio / Label: Spinefarm UK Release Date: 20 Oct 2014. Disc 1 4 Massive Addictive. Disc 1 12 Exhale. Disc 1 11 An Ordinary Abnormality. Disc 1 10 Skyline. Disc 1 8 Over and Done. Disc 1 7 Unreal. Of Discs: 1 disc(s) Studio / Label: Polydor UK Release Date: 09 Oct 2000. Disc 1 11 Calm Caravan 3.37 mins. Disc 1 8 Break Like The Wind 4.35 mins. Disc 1 4 Just Begin Again 4.53 mins. Disc 1 2 The Majesty Of Rock 3.55 mins. Of Discs: 1 disc(s) Studio / Label: Eagle Rock UK Release Date: 21 Apr 2003. Disc 1 5 The Blessed Hellride 4.32 mins. Disc 1 9 Blackened Waters 3.56 mins. Disc 1 6 Funeral Bell 4.41 mins. Disc 1 10 We Live No More 4.02 mins. Of Discs: 5 disc(s) Studio / Label: Spectrum UK Release Date: 15 Sep 2017. Disc 2 5 One Night in the City 5.16 mins. Disc 5 4 Between Two Hearts 6.31 mins. Disc 5 1 Wild One 4.06 mins. Disc 5 11 My Eyes 6.36 mins. 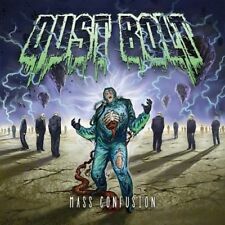 Of Discs: 3 disc(s) Studio / Label: Spinefarm UK Release Date: 31 May 2010. Disc 1 10 The Oracle 6.21 mins. Disc 2 1 Whiskey Hangover. 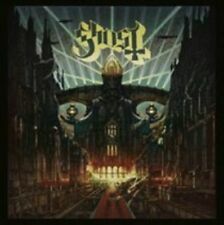 Disc 1 9 Shadow of a Soul 4.42 mins. Disc 1 6 Devils Swing 3.29 mins. Of Discs: 1 disc(s) Studio / Label: Connoisseur Collection UK Release Date: 31 Jul 2000. Disc 1 5 Mama Weer All Crazee Now 3.18 mins. Disc 1 18 Last Thing At Night 2.51 mins. Disc 1 14 Hot Blood 4.12 mins. Destiny CD (2001)Title: Destiny Genre: General|tbc Format: CD / Album Type: CD No. 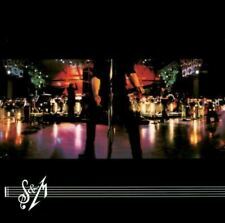 of Discs: 1 disc(s) Studio / Label: Sanctuary UK Release Date: 13 Aug 2001. Of Discs: 1 disc(s) Studio / Label: Eagle Rock UK Release Date: 22 Sep 2003. Disc 1 10 Evolution 3.29 mins. Disc 1 8 Two Face Devil 5.00 mins. Disc 1 7 Takedown 3.39 mins. Disc 1 6 The Threshold 3.50 mins. 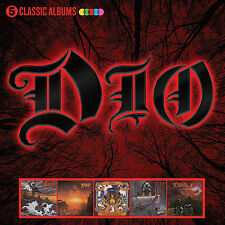 Of Discs: 2 disc(s) Studio / Label: EMI Music UK UK Release Date: 08 Jun 2009. Disc 1 2 Slide It In 3.23 mins. Disc 1 9 Spit It Out 4.28 mins. Disc 1 6 Standing in the Shadow 3.43 mins. Disc 1 10 Guilty of Love 3.28 mins. Of Discs: 1 disc(s) Studio / Label: Spinefarm UK Release Date: 21 Aug 2015. Disc 1 10 Deus in Absentia 5.37 mins. Disc 1 9 Absolution 4.50 mins. Disc 1 8 Devil Church 1.06 mins. Disc 1 7 Majesty 5.24 mins. 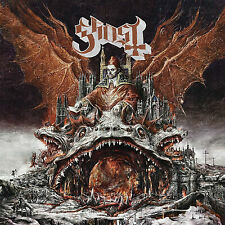 Of Discs: 1 disc(s) Studio / Label: Spinefarm UK Release Date: 11 Apr 2011. Disc 1 12 Serendipity. Disc 1 11 Act of Desperation. Disc 1 10 Director's Cut. Disc 1 9 Enter the Maze. Disc 1 6 Amaranthine. Of Discs: 1 disc(s) Studio / Label: Spinefarm UK Release Date: 16 Sep 2016. Disc 1 5 Bible 6.33 mins. Disc 1 4 Missionary Man 3.42 mins. Disc 1 3 I Believe 4.04 mins. Of Discs: 1 disc(s) Studio / Label: Spinefarm UK Release Date: 24 Aug 2018. Disc 1 10 Position One. Disc 1 9 Feel the Way I Feel. Disc 1 8 Milestone. Disc 1 7 Wheel Against Will. Disc 1 6 Dodge Your Destiny. 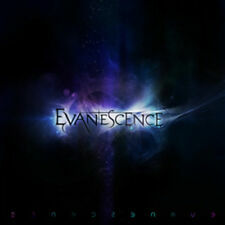 Evanescence : Evanescence CD (2011) -new/sealed. Condition is New. Dispatched with Royal Mail 2nd Class Letter. Disc 1 1 World Painted Blood 5.53 mins. Disc 1 5 Hate Worldwide 2.55 mins. Disc 1 11 Not of This God 4.20 mins. Disc 1 10 Playing With Dolls 4.13 mins. Disc 1 7 Human Strain 3.09 mins. Disc 1 4 Beauty Through Order 4.36 mins. Of Discs: 1 disc(s) Studio / Label: Spectrum UK Release Date: 25 Mar 2016. Disc 1 19 Party Hard. Disc 1 9 Eyes of a Stranger. Disc 1 3 Burn. Disc 1 18 Trigger Inside. Disc 1 17 Joker and the Thief. Disc 1 16 Negasonic Teenage Warhead. Of Discs: 1 disc(s) Studio / Label: EMI Music UK UK Release Date: 21 Sep 2009. Disc 1 6 Made of Glass. Disc 1 8 Diva of Disgust. Disc 1 10 Sleepless. Disc 1 9 Entre Le Bien Et Le Mal. Disc 1 7 Black Lungs. Of Discs: 1 disc(s) Studio / Label: Frontiers Records UK Release Date: 07 Jul 2017. Disc 1 11 The World's Best Hope. Disc 1 3 Down Life's Page. Disc 1 8 Hero in Your Life. Disc 1 1 After the Rain. Disc 1 10 Who Knows. Of Discs: 1 disc(s) Studio / Label: Interscope UK Release Date: 01 Dec 2002. 1 3 Hide Your Heart. 1 1 Rise To It. 1 5 Read My Body. 1 14 Little Caesar. 1 6 Loves A Slap In The Face. 1 10 King Of Hearts. Disc 1 12 Revolution 4.36 mins. Disc 1 11 Mass Effect 5.00 mins. Disc 1 9 Redesign 3.33 mins. Disc 1 8 Sinner 4.07 mins. Disc 1 7 Make Believe 4.41 mins. Disc 1 6 Acrylic 1.51 mins. Disc 1 5 Wrath 3.49 mins. Disc 1 10 Raining Blood 4.17 mins. Disc 1 12 Criminally Insane (Remix) 3.17 mins. Disc 1 11 Aggressive Perfector 2.30 mins. Disc 1 8 Epidemic 2.23 mins. Disc 1 7 Reborn 2.11 mins. Disc 1 6 Criminally Insane 2.23 mins. Of Discs: 1 disc(s) Studio / Label: EMI Music UK UK Release Date: 01 Feb 1999. Disc 1 8 Too Late 6.54 mins. Disc 1 9 I (Who Have Nothing) 5.10 mins. Disc 1 10 Buried Alive 4.47 mins. Disc 1 7 Sins of the Father 4.43 mins. Of Discs: 1 disc(s) Studio / Label: Eagle Rock UK Release Date: 18 Feb 2009. Disc 1 1 Bring the Noise 3.26 mins. Disc 1 14 I'm the Man 3.02 mins. Disc 1 16 I Am the Law 5.57 mins. Disc 1 10 Among the Living 5.16 mins. Of Discs: 1 disc(s) Studio / Label: Fearless Records UK Release Date: 21 Oct 2016. Disc 1 4 Blueprints 4.22 mins. Disc 1 11 Desperate 4.24 mins. Disc 1 10 Basic Hate 3.40 mins. Disc 1 9 Spineless 2.00 mins. Of Discs: 1 disc(s) Studio / Label: EMI Music UK UK Release Date: 23 Jul 1990. Disc 1 9 Burn 6.02 mins. Disc 1 1 Black Night 3.28 mins. Disc 1 4 Strange Kind of Woman 3.52 mins. Disc 1 12 Smoke On the Water 5.40 mins. Of Discs: 1 disc(s) Studio / Label: Spinefarm UK Release Date: 01 Jun 2018. Disc 1 10 Life Eternal. Disc 1 9 Helvetesfonster. Disc 1 8 Witch Image. Disc 1 6 Dance Macabre. Disc 1 5 Miasma. Disc 1 4 See the Light. Of Discs: 1 disc(s) Studio / Label: EMI Music UK UK Release Date: 28 Sep 2009. Disc 1 13 Plastic Man 8.47 mins. Disc 1 12 Diseased 3.40 mins. Disc 1 11 Simplest Mistake 5.28 mins. Disc 1 10 I'm the One 2.49 mins. CD (1999)Title: Garage Inc. of Discs: 2 disc(s) Studio / Label: Virgin EMI Records UK Release Date: 26 Mar 1999. Disc 2 6 Am I Evil?. Disc 2 16 Too Late Too Late Motorheadache '95 3.12 mins. Disc 2 15 Stone Dead Forever Motorheadache '95 4.52 mins. Of Discs: 1 disc(s) Studio / Label: Spinefarm UK Release Date: 01 Jun 2018. Disc 1 12 Avalanche. Disc 1 10 Life Eternal. Disc 1 8 Witch Image. Disc 1 11 It's a Sin. Disc 1 9 Helvetesfonster. Disc 1 6 Dance Macabre. Of Discs: 1 disc(s) Studio / Label: Concord UK Release Date: 11 Oct 2011. Disc 1 5 The Other Side 4.05 mins. Disc 1 11 Never Go Back 4.27 mins. Disc 1 10 Oceans 3.38 mins. Disc 1 9 End of the Dream 3.49 mins. Of Discs: 2 disc(s) Studio / Label: Gene Pool UK Release Date: 12 Mar 2012. Disc 1 1 Cry of Our Nation. Disc 1 3 Kissing the Knife. Disc 1 6 Long Live the King! Disc 1 7 The Circle. Disc 1 10 Our Forgotten Land.